That spark. You know it. It’s that light in their eyes, that energy they exude when kids are fully engaged. When learning becomes so much more than the lesson. It becomes their whole world and they have immersed themselves in the experience, enjoying every moment as knowledge is freely soaked up. So often that spark is elusive as we try and educate our children. I know we lost it at the end of last year. 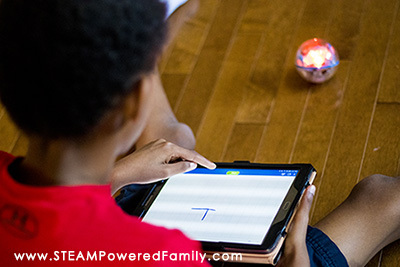 But with STEM and Sphero Edu, we’ve reignited that energy in my children and I’m looking forward to a new year of empowered imaginations and passionate learning. When I was approached about partnering with Sphero it took me about 2 seconds to say yes. It was a no brainer. 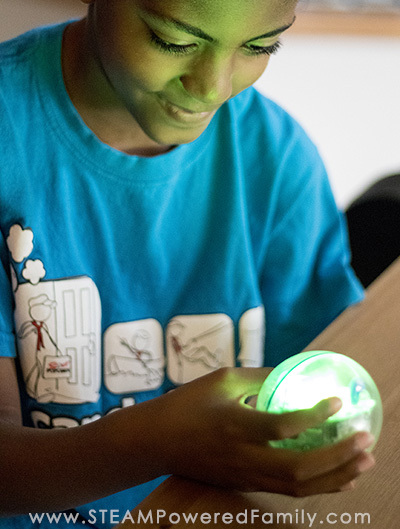 Sphero is known for their amazing integration of technology and programming into educational play. 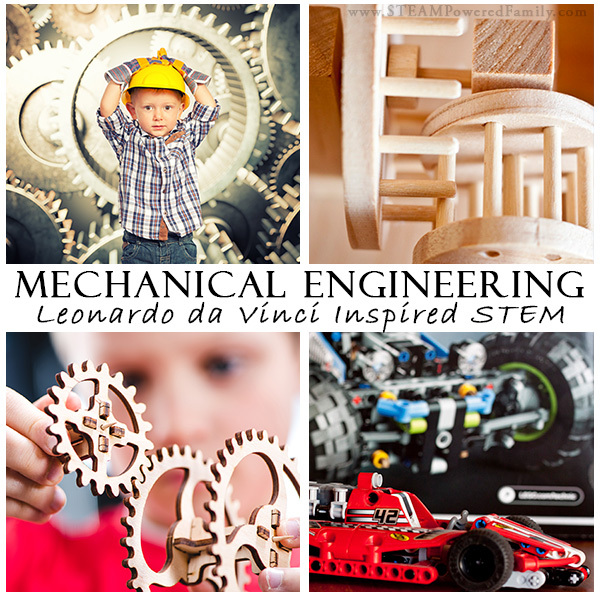 Perfect for infusing some exciting new STEM into our elementary lessons. 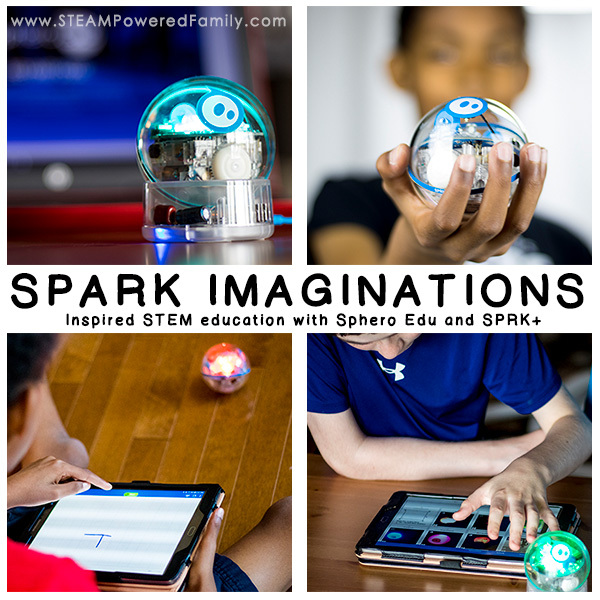 This was a fantastic opportunity, but even I was shocked at how passionate my kids were with their new Sphero SPRK+. Especially with their new #BeyondCode approach. It’s absolutely brilliant for educators and children who love learning through discovery and play. Which means it was perfect for our STEAM Powered Family! Waiting for our Sphero SPRK+ to charge the first time was pure agony for the kids. They were bouncing with excitement! What kid doesn’t love a new toy, especially a robot? Then the big moment came as our quirky little ball of circuits came to life, colourful lights flashing. 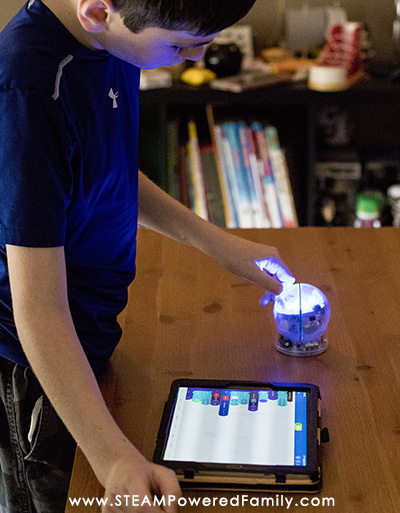 We quickly and easily connected it to our tablet with the Sphero Edu app and it was then that we discovered a library of computer science and programming fun at our finger tips inside Sphero Edu. Suddenly our Sphero SPRK+ was so much more than just another point and click toy. It was truly a tool that was designed to share knowledge and impart programming skills. But Sphero Edu is about more than programming. It brings STEM and STEAM principles to life by incorporating the 4 C’s that have been identified as key in 21st Century education: Creativity, Collaboration, Critical Thinking, and Communication. But I’m getting ahead of myself. First off, one of the things I love as a teacher of very diverse ages and levels of ability, is that Sphero SPRK+ provides three levels of functionality – draw, blocks and text. For my youngest, he could draw the programs on the screen that he wanted the robot to execute. It was quick, easy, and an instant win for my learner who struggles in so many of his lessons and learning. In moments, he had it running about everywhere. His favourite part? Studying the patterns that were created as the app would “draw” how the Sphero SPRK+ moved. For a child with extensive special needs and global learning delays, so many learning tools leave him frustrated and confused. With Sphero SPRK+ he was relaxed, excited, having fun, and most of all learning without any stress! 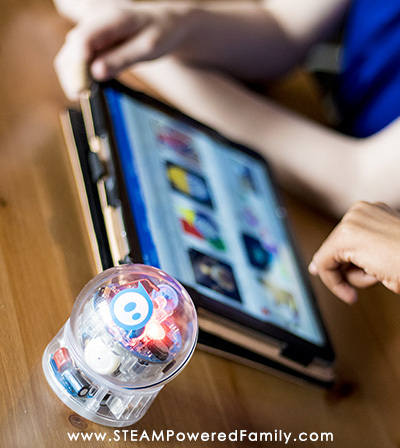 Now this is where Sphero Edu got all of us very excited, it contains an extensive library of programs. Both from the talented minds at Sphero, and from the community. My boys spent so much time going through all the different program libraries. Running the programming, studying the code. They were fascinated! They turned their Sphero SPRK+ into a magic 8 ball, played hot potato, sent it on patrols and so much more. Oh, they also discovered that it’s waterproof and I found them taking it for a swim in the bathtub at one point! 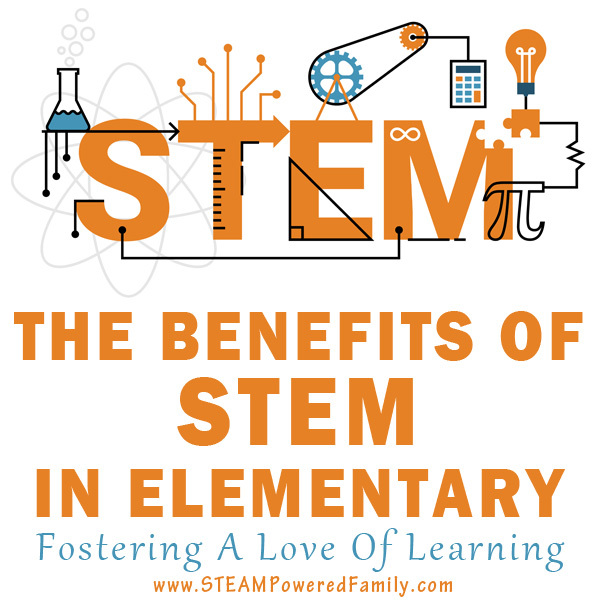 Once I was able to spend a few moments with Sphero Edu myself, I discovered a vast amount of resources including many fantastic STEAM challenges. These were challenges that incorporate math skills and engineering builds. They require creativity, logic and critical thinking. Many also require team work. Plus a few challenges even involve art. True STEAM activities! I found myself inspired and excited. I couldn’t wait to teach my kids using this tool. Not only did I find many challenges that were ready to go, but I found myself brainstorming new ideas and challenges that incorporate my children’s interests and some of our other studies. The possibilities are endless. 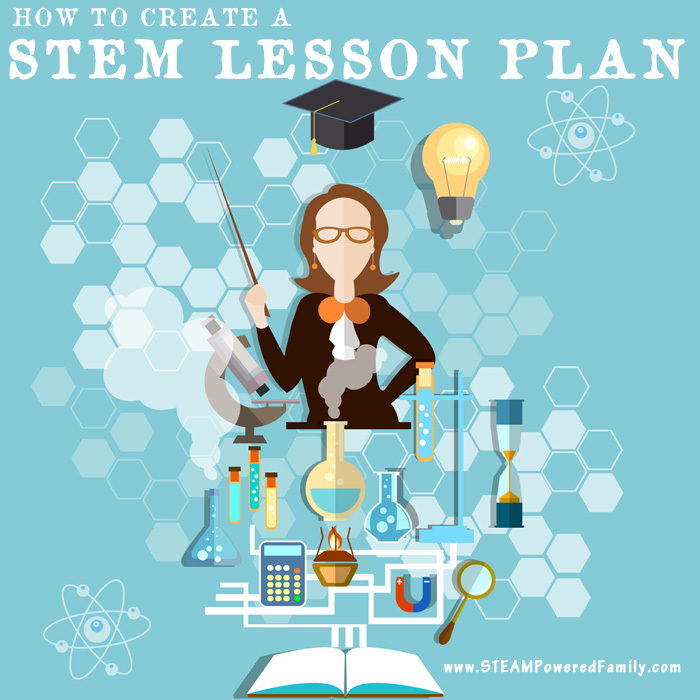 So as I work on our lesson plans for this upcoming school year, I now find myself spending a lot of time in Sphero Edu picking out STEM challenges for the kids to do. Right now my plan is to pick 2 challenges a month for the kids to tackle. Knowing my kids, and how much this has sparked their passions, I know these two challenges will spin off into many more exciting adventures. Who knows where their imaginations may take our lessons? This cute little ball of circuits has sparked their excitement to learn programming and technology, and I’m thrilled to see how excited they are to dig in and learn from Sphero Edu. When my kids have that spark, I know learning is exactly what is should be… fun, engaging, exciting and meaningful. 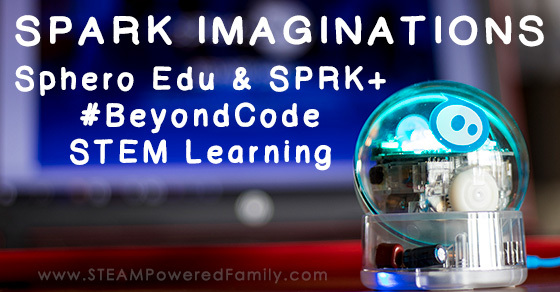 With Sphero Edu and SPRK+ we finally have that spark back! My granddaughters would love one. It would definitely spark their imagination. 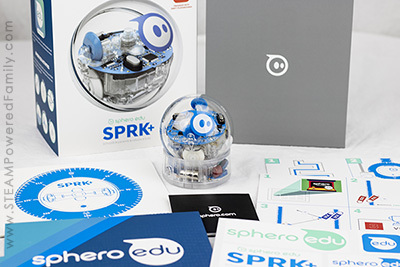 I would love to add a Sphero SPRK+ Robot to our STEAM offerings at school. There are so many things we could do with a Sphero SPRK+ Robot… Our students have been working on coding and this would allow them a chance to actually see something (besides on a computer screen) follow the programs they create. My kids have already been learning some coding with another program, so I’d love to incorporate this in for a greater challenge for my oldest. Looks like great fun, thanks for hosting the giveaway! I would love to dive into coding this year with my first grader. This would add so much excitement to our homeschool curriculum. My son’s muscles tire quickly which affects the amount of written work he can complete. I think Sphero would be a great way to incorporate all aspects of learning in a way that empowers him. Thank you for the chance at an amazing giveaway! What a fun giveaway. My 9-year-old recently attended a programming Apple camp & learned all about the Sphero. He & I would love to add one to our homeschool. I teach STEM for our local co-op & this item would not only be used at home! It is a great way to teach all ages about computer programming? I love the idea of using the Sphero for STEAM – emphasis on art! The Sphero of Oz! What a great idea! It has my brain whirling about how to unite the curriculum areas with dramatic art, art in general, and how Sphero and the coding side can do that! Okay…. and Disco Sphero is kinda awesome balls! I never thought of using a tech / stem tool for drama! WOW! Mind blown! Rethinking my STEM station in my coop this year! We are going to start learning coding as a family. It would be a awesome to have one. This would be an amazing addition to our homeschool! My kids love STEAM activities and this is such a fantastic hands-on way to explore programming. Reading that is can be used to mimic the solar system has me brainstorming already. I have been wanting this for my 5 year old since I read about it this spring! He would love this! Sphero alone is wonderful, but to marry it with with the SPRK+ program seems genius! My daughter is now getting interested in robots and coding. Her focus is natural science, but she is now intrigued as to how we can use robots to research and better understand animals. This would be an amazing addition to our current (and future) curriculum. I am excited about the art opportunities Sphero provides! This spring, we connected Sphero with a study of Alexander Calder as well as a science unit on balance and motion to create a “circus”. So much fun and learning went on! Hoping to explore another artist this year and add a coding aspect too! Having one more Sphero would be amazing! Thanks for sharing your article! I would love to combine Sphero with paint. Thanks for a great post! We would love to try making obstacle courses and mazes. I’ve also seen people make vehicles that are powered by the sphero and that looks like a lot of fun as well. This has been on our wish list for awhile. Thanks for the chance!! what a GREAT way to get kids interested in coding by making it not only easy, but FUN and accessible to the way they think! Love how you can start out on draw and work up to actually programming. It means its not a expensive resource your kids will outgrow in a year, but one that can grow with them! Nor is it such a struggle to use that they loose interest (been there!!!) Def putting it on our resource to get list! Wow I would really love to win a sphero! This would also enhance my lessons since I am also connected to our STEM FAIR. Plus Sphero would give me the opportunity to learn more. I would love to have the Sphero SPRK+ in my art classroom. I loved seeing the videos and photos of it going through the paint! Imagine the challenge of drawing with it as it moves through different colors of paint! The possibilities are endless with how to incorporate it in my art room where I love to introduce STEAM to my students when I can. Spheros are the easiest robots to introduce to 2nd graders and up. Their durability and long battery life make them easy to work with all day long. The amount of data you can generate and study using the robots is really incredible. Most certainly you will learn to code when you use Spheros, but the math, science and teamwork lessons that can be so easily taught are where these little guys really earn their keep. Who can say no to a coding robot?! Forget the kids. I would play with it myself! I love that they offer introductory activities for kids (parents?) who are not ready for Java Script. I hope to use them in K-8 this year and going beyond STEM time. They go along nicely with the Gifted goals, so a lot of the lessons can be used for Computer Science standards as well as the gifted standards. I am embarking on a setting up a nonprofit after school & summer program with a focus on computer programming – SPHERO – SPRK would be an awesome addition. It is definitely something I will look into and hope to win! Thank you for sharing this. I love that it goes beyond coding! It’s hands-on, so your non-spatial learners truly get the coding you are creating in class! I also love the site… chocked full of fast ideas that are easy to fit in your plans and run with. Wow. How exciting. I’d love for my students to try this. This looks like such an amazing tool that I’d like to implement with one of my sons who has trouble learning anything unless it’s very hands-on!! He enjoys simple coding right now and this would take it to the next level for him! We would love to explore all the learning opportunities this could have for him.? I got to play with a sphero at an e-learning conference. They are very cool! I didn’t realize that there was a possibility to direct it by drawing. That would be really neat with my younger students in STeAM club. I would love to spark my son’s imagination with Sphero. He has autism and would really enjoy the fun. I have an 8 & 10yr old. I don’t even know where’d we begin but it would be amazing to have one in our home! I have the privilege of encouraging and challenging students from every grade level (in1st Grade through Middle School) as part of in our new ACADEMIC ENRICHMENT PROGRAM. My students’ horizons could be greatly-expanded with the many experiences a Sphero SPRK+ Robot could offer! The possibilities are endless (unlike our funds). Thank you for the chance for “my kids” to take part in the learning that this innovative technology could bring to our classes! I would love the opportunity to include Sphero in my Chemistry 1 CP, Environmental Science 12, and AP Environmental Sciences courses!!!! I teach in a designated STEAM school, and we are working hard to prepare our students as 21st Century Learners…in order to be successful in their future STEAM-related careers!!! We’re preparing our students today for the careers of tomorrow!!!! My first grader would love this! He is so interested in technology. I would love to have this unique tool to use in my classroom. Our school is changing to a STEAM school this year and I know that there are endless possibilities that the students could do with this technology. They would really love this and so would I. The Sphero looks amazing! I can only imagine what my kindergartener would do with it! So much opportunity to learn programming principles! I am a disabled veteran and a single mom. Most of my experience educating chilchildren comes from 10+ years of working with younger children as volunteer in child care and day camp settings. I found your site when I was looking for ways to improve the quality of the activities I do with my nine-year-old son during the time that we spend together. My fourteen-year-old daughter and I have learned a lot together trying various projects on Pinterest. However, because of the age difference I’ve had a hard time getting him engageded. I enjoy sharing some of your ideas with my son. Since I don’t have my children full time I always do a lot of research and try to plan our time together so that it meaningful, fun, and educational. I have a computer science backround and my kids are both good students. I can only imagine how awesome it would be for us to learn things together with the Shero SPRK creating memories that will last a lifetime. My son has wanted a Sphero since he had a chance to try one out at a local children’s museum. He is already learning to code with Scratch and is very interested in robotics so I love how Sphero makes it so accessible even for young children. Sphero is an amazing creative tool to use in the classroom. It allows such diversity among students and enables that spark to grow in all students – no matter what their level. Teaching gifted students, as well as remedial, it appeals to me that all of my students can feel the pride of ownership when using Sphero. It is a great springboard to STEAM classes, as well as coding. Thanks for hosting this giveaway! 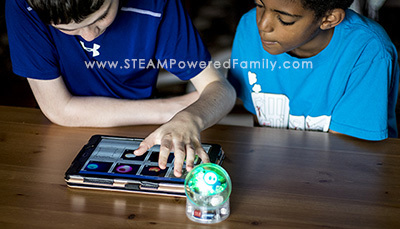 I would love to add Sphero to our homeschool STEAM activities. We have been working on coding with Scratch and Osmo (for a more hands on look) but I think Sphero would really take it up a notch plus it would be great for my 8 yr old who requested to add robotics and more hands on activities to our schooling.